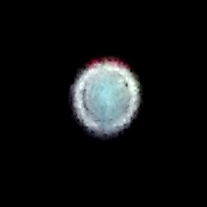 During the last week, I observed a different feature in the Orbs here; many of them are constant companions, reflected Essences of star family members and others. 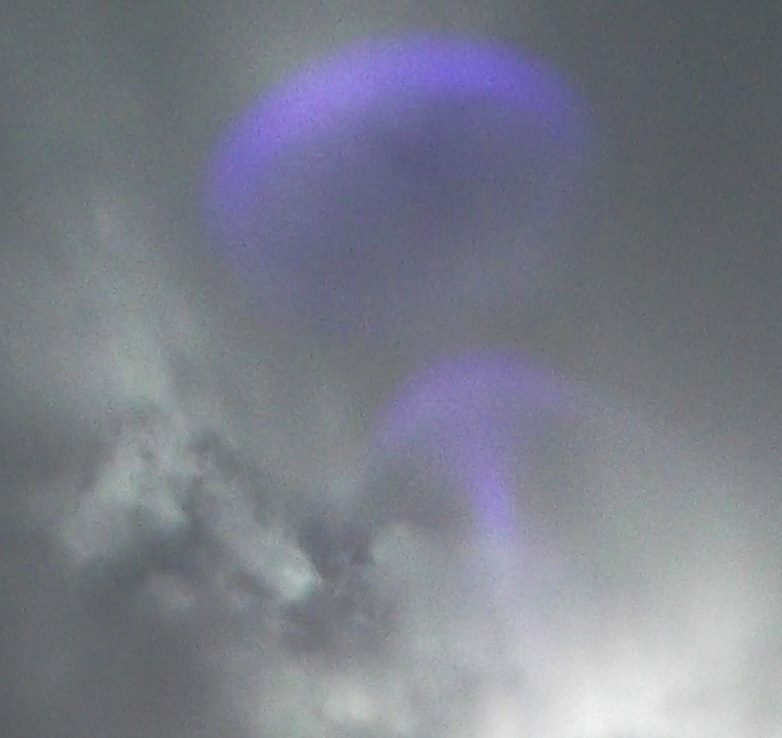 But in the last week other Orbs have been arriving, and their energy does not feel ‘well’. Some of them have pieces missing, holes through them, or appear ‘down’ and ‘ill’. I am in the process of making a sacred circle in the beech grove at our new home, which has deep heart-centered energy, a nodal point on a ley line, and is connected to Ashtar and Sesherat. 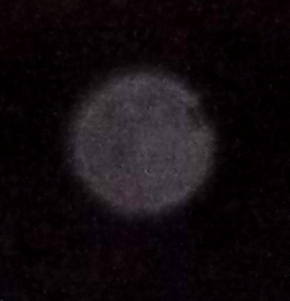 A few nights ago, I focussed on activating the healing potential of the node as it reopens fully, and the first Orb to arrive looking for healing was this little ‘sad face’, followed by many more. It literally ‘brought home’ to me the strain and imbalance so many are feeling at this time of extreme dissonance between the ‘rough edge’ of 3D duality vibration and the ever-more-present higher reality of the New Earth. I asked star family how best to help humanity as a whole to release the 3D ‘suffering’ construct. Ashtar said to visualize holding the Earth in Purple Flame, every day – and that the more who can do this, the better for All. Sit comfortably, breathe deeply and relax. Take your focus into your Heart Centre, and put your hands on your knees or thighs, with palms facing upward. See the Earth resting in your hands, large enough that the Core of the Earth is level with your Heart Centre. Now see an Infinity symbol of golden Light between your Heart and the Core of the Earth, with the ‘tips’ of the Infinity touching your Heart and the Earth’s Core, connecting them. See and feel golden Source Light flowing through the Infinity symbol, between you and Gaia. Now visualize the Purple Flame of Compassion, Mercy and Freedom enveloping the whole Earth, and see it bathing the hearts of all humanity and all life on the planet, animals, plants, the mineral kingdom, and non-physical beings. If you wish, ask aloud for all beings and all of humanity to embrace the qualities of the Purple Flame – including the Violet of Transformation, Magenta of Emotional Freedom and the deep Purple of Passion, Creating with Love. Hold this visualization for 3 minutes or 9 minutes, or 33 seconds or 99 seconds, whatever you can do (you do not have to watch a clock; hold your intent for those number vibrations, which are Trinity and Angelic). 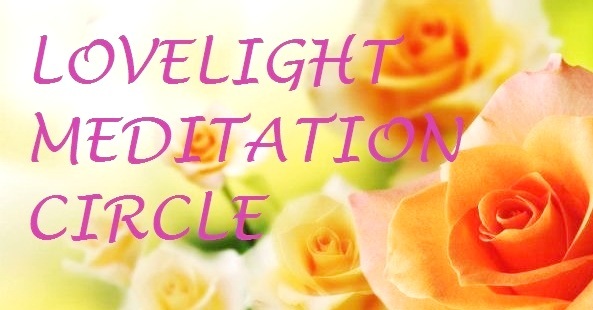 Please continue this practice as often as possible, and feel in your Heart how you are connected to all other people holding this focus, embraced in the energies of the holders of the Purple Flame, Lao Tzu, Quan Yin and the Archangel Zadkiel. With love and thanks to Ashtar, Sananda, Mother Gaia and the Keepers of the Purple Flame. If this call resonates for you, please join me in this daily practice. Holding you All in Love. Namaste.